Foreclosure.com Scholarship Program is a unique program for current college undergraduate students to win a scholarship by submitting an essay on how to stop foreclosure and stimulate the U.S. housing market. Five students will be selected to win college scholarships. Students applying are required to submit an essay of 800 - 2,000 words that explains their creative solutions to resolving the housing and foreclosure issues currently facing the American government. They must convincingly describe programs they would recommend that would earn the vote of a presidential candidate. The top five best plans will be sent to Congress and President Obama. 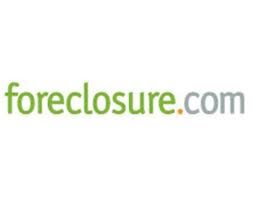 Foreclosure.com Scholarship Program started in 2009. Each year, the essay contest addresses critical national issues. Scholarships are offered to encourage more students to become involved and share their ideas on what can be done to resolve these issues. Since its beginning, 15 college students have earned scholarships totaling $27,000. It is the largest provider of distressed property listings on the internet. The scholarships are one time only and not renewable. They may be used in the freshman, sophomore, junior or senior year of college. Students entering the essay contest must be attending or plan to attend a two-year or four-year college either part-time or full-time at a U.S. college or university. The deadline for this scholarship is usually in DECEMBER of each year, and the award amount is usually $1,000 - $5,000.